A curling tool guide is exactly what every woman needs when choosing a curling iron, wand, or flat iron. It is no secret that the size of curling iron, wand, or straightener you use determines the size of curls you create. The larger the barrel, the looser the curls. Likewise, the smaller the barrel, the tighter the curl. The length of your tresses also makes a big impact on the end result of your curls as well. Here I will quickly give you some things to remember the next time you are picking out your curling tool. The 1 1/2 ” barrel is great for curls with a lot of body, think Victoria Secret volume. This is my favorite barrel to use when I want to create a soft, touchable look. The 1 1/4″ barrel is my favorite size curling iron. It creates a great uniform curl when held at a vertical angle to the face. My #1 recommendation when choosing a size. The 1″ barrel is perfect when you have hair between short and medium, aka chin length to collar bones. It creates a tighter curl and a second choice after the 1 1/4″ iron above. The Jose Eber Trio Curling Wand Set is specially designed with three distinctive curling barrel sizes that are perfect for all hair types. 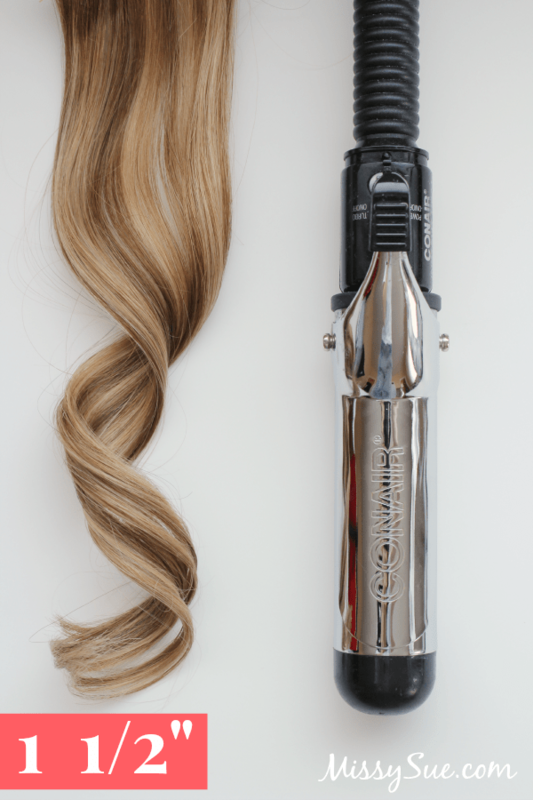 With easily interchangeable barrels, a multitude of curly and wavy styles can be created with the trio wand. The clipless design gives perfect, more natural looking curls and waves that are free of kinks, ridges, and crimped ends. By focusing longer heat at the roots and not the tips, damage caused by traditional curling irons is a thing of the past. My favorite straightener ever, the HAI Convertible Flat Iron. The 1 1/4″ creates a great uniform curl when held at a vertical angle. My #1 recommendation when choosing a straightener width. This iron offers adjustable heat (which is a must!) and floating plates to eliminate any tension and pull on the hair. The 1/2″ flat iron (similar here) allows close reach to the scalp in order to perfect bangs or hairstyles of shorter length. The 2″ barrel (not pictured) would be your weapon of choice for a subtle bend on the ends of your hair. 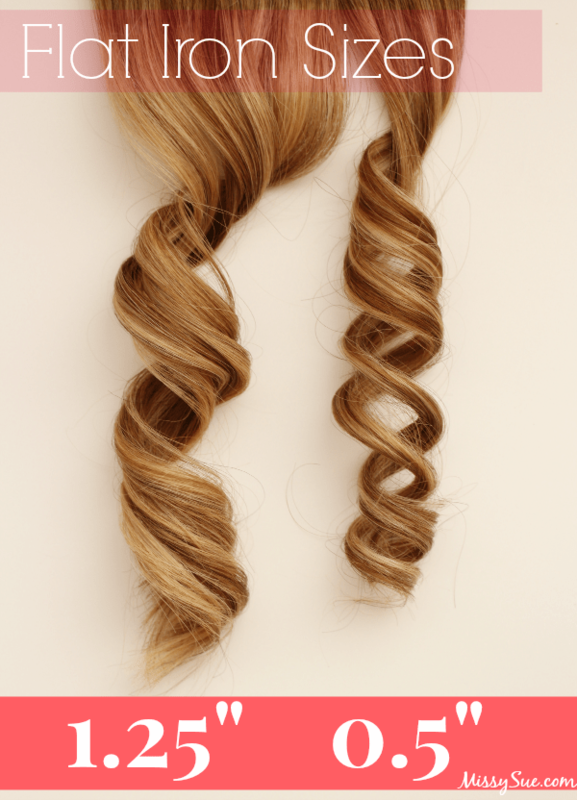 The curl is very loose so it is best to keep this barrel to imitate a blowout style. One of my biggest tricks when curling my hair with a flat iron is gently smoothing the flat iron over the top of them at the end. 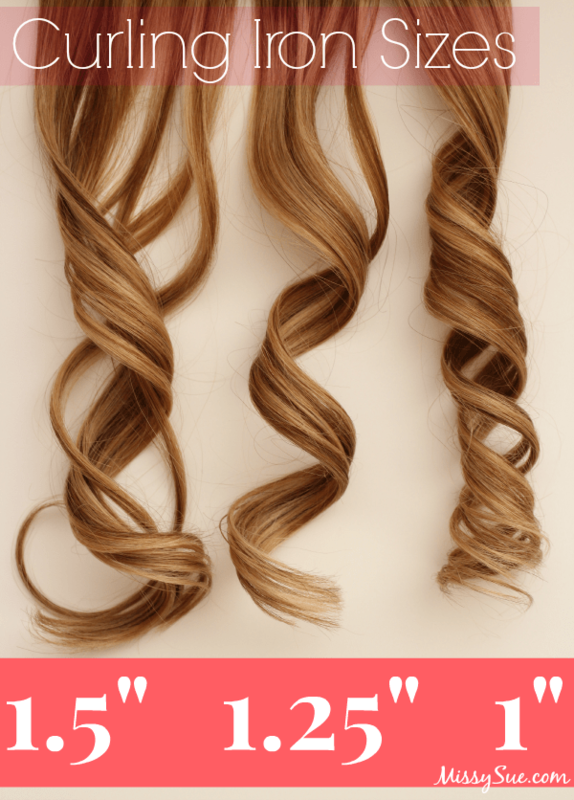 This gives those loose, uniform waves that are so gorgeous. I thought that with the tapered curling iron, it was supposed to be used the other way (bigger diameter at the top). I didn’t hear this anywhere, this was just in my mind as the way that would give the best kind of curls. Have you tried it the other way (opposite of what’s in your photo)? I see what you mean, I’ve only used it the one way so I guess I’ll have to give the other way a try, thanks! This is a genius tutorial! Thank you! Hey, could you upload a video on how you curl your hair? I really liked the way you did your curls in the pictures, so I was wondering if you could do a video on how to achieve different styles of curls using a specific way to use your curling iron. Hi, Melissa! I’ve bought a curling iron that comes with 3 barrels. The size comes in mm. What would be the equivalence of 38mm, 33mm and 19mm in inches? Do you have any video tutorials on how to curl your hair with a flat iron? Every time I do it my hair just looks zig zagged and bent.